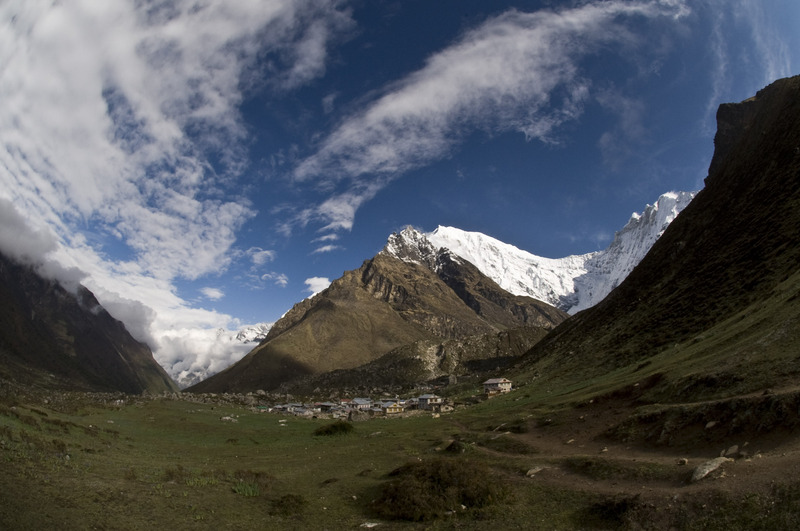 The Sacred Himalayan Landscape extends from Langtang National Park in central Nepal through the Kangchenjunga region in Sikkim and Darjeeling in India to Toorsa Strict Nature Reserve in western Bhutan. The landscape level approach has been carried through into the Sacred Himalayan Landscape, which extends from Langtang National Park in central Nepal through the Kangchenjunga region in Sikkim and Darjeeling in India to Toorsa Strict Nature Reserve in western Bhutan covering an area of 30,021 km2. The initiative comes under the greater vision of “Transboundary Partnership for a Sacred Himalayan Landscape in the Eastern Himalaya ” (TBPSHL). In Nepal , the Ministry of Forests and Soil Conservation (MFSC) is leading the SHL initiative in partnership with WWF, ICIMOD, TMI and IUCN. With the formation of the core team, this partnership has extended to include National Planning Commission, Department of Forests, Department of National Parks and Wildlife Conservation, Eco Himal, UNDP, SNV and DFID. The Sacred Himalayan Landscape aims to conserve the rich biodiversity and enhance local livelihood needs and sustain diverse culture and traditions in the globally important Eastern Himalayan Region. Under SHL WWF Nepal is working within and outside Kangchenjunga Conservation Area, Langtang National Park Buffer Zone and Sagarmatha National Park and Buffer Zone for the fulfillment of broader vision of conservation at landscape level. This initiative is an opportunity for WWF Nepal to scale-up conservation activities to ecosystem management at landscape level.